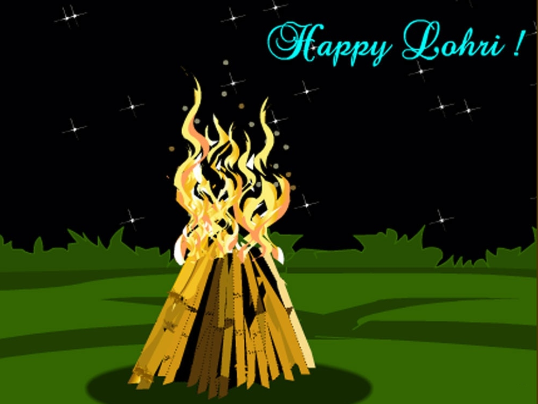 Happy Lohri 2018 Wishes Greetings Images Pictures and HD Wallpapers 13 January - 365 Festivals :: Everyday is a Festival! 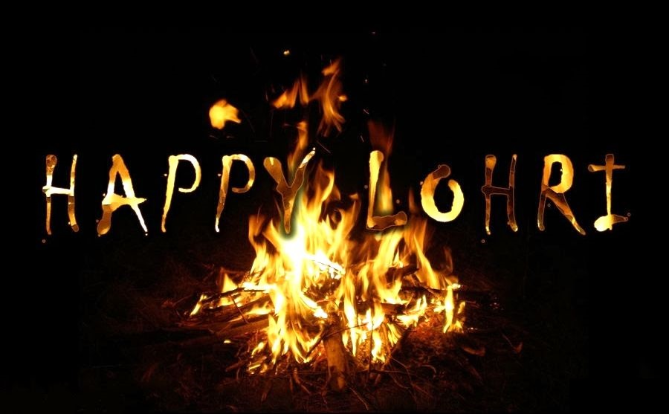 Lohri is a popular winter time Punjabi folk festival, celebrated primarily by Sikhs and Hindus from the Punjab region of Indian subcontinent.The significance and legends about the Lohri festival are many and these link the festival to the Punjab region.Many people believe the festival commemorates the passing of the winter solstice. 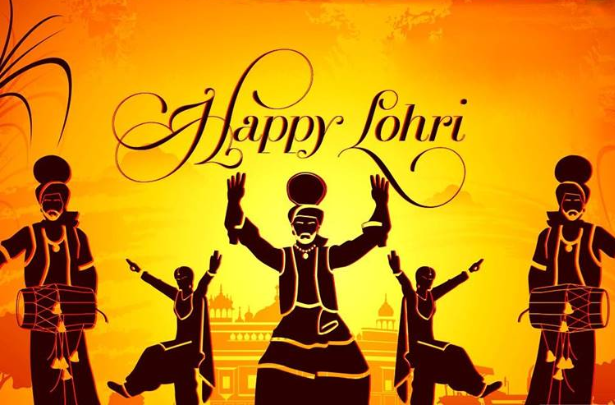 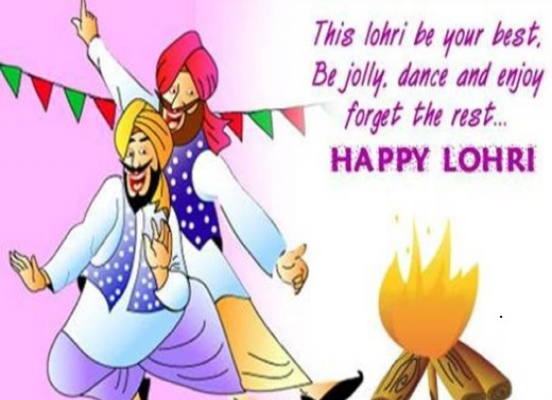 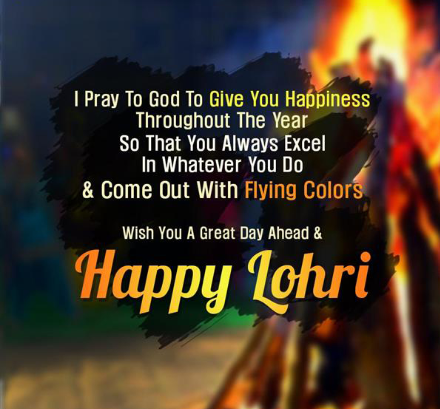 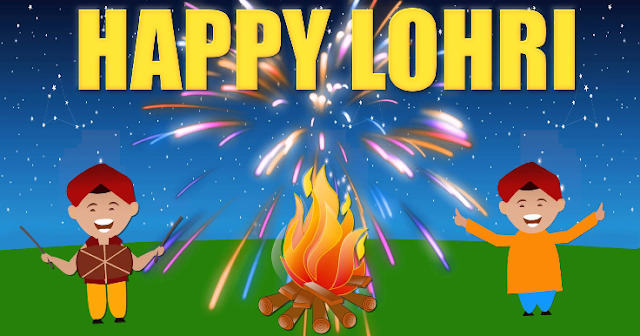 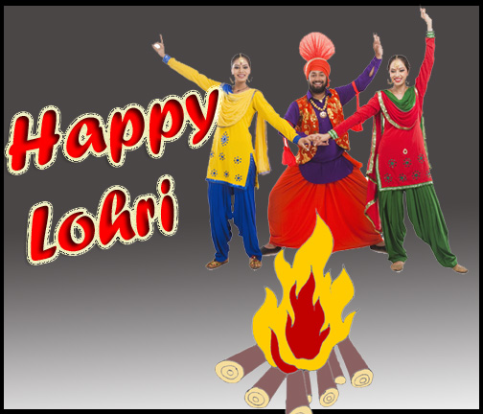 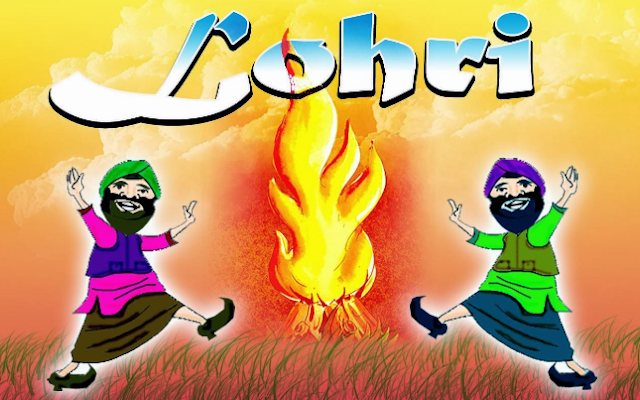 Lohri marks the end of winter season, and is a traditional welcome of longer days and sun's journey to the northern hemisphere by Sikhs and Hindus in the northern regions of the Indian subcontinent. 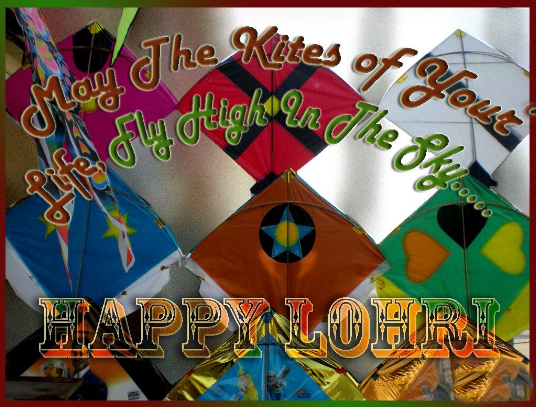 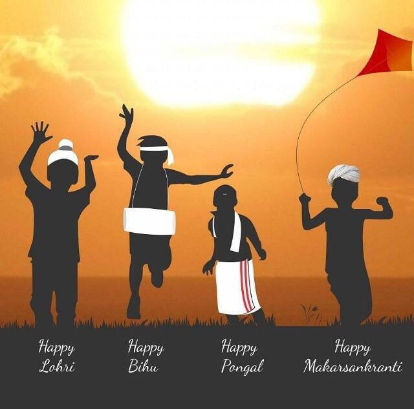 It is observed the night before Makar Sankranti, also known as Maghi, and according to the solar part of the lunisolar Bikrami calendar and typically falls about the same date every year (January 13). 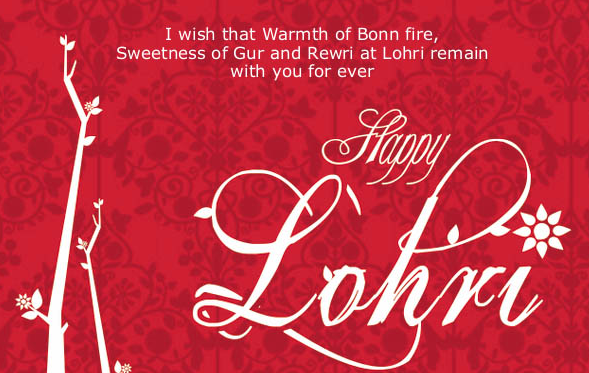 Lohri, the bonfire harvest festival of Punjab celebrated in the month of Magh, is symbolic of newbeginnings. 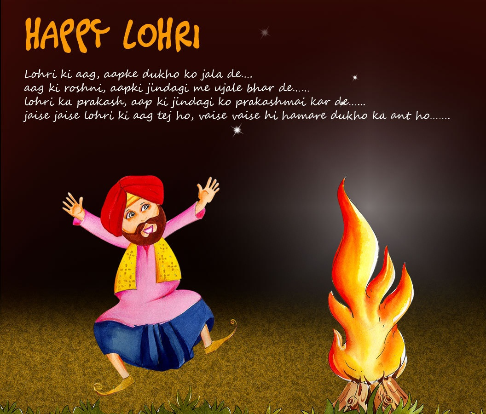 The first time Lohri is especially celebrated with pomp and grandeur. 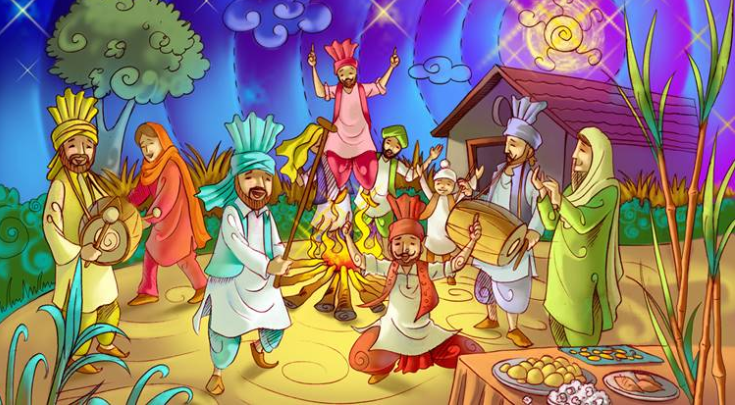 Friends andrelatives gather around the fire and perform Gidda and Bhangra to the beat of Dhol, the drums of Punjab. 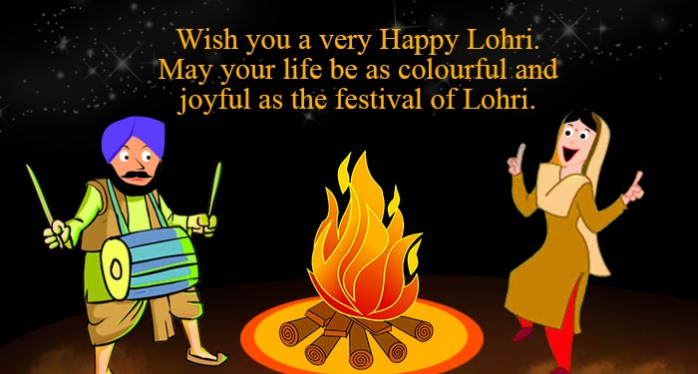 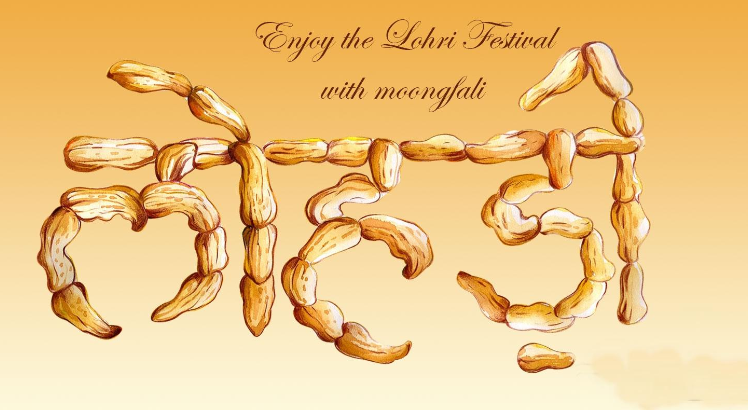 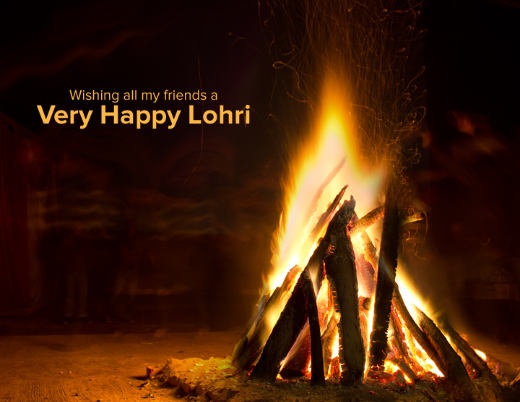 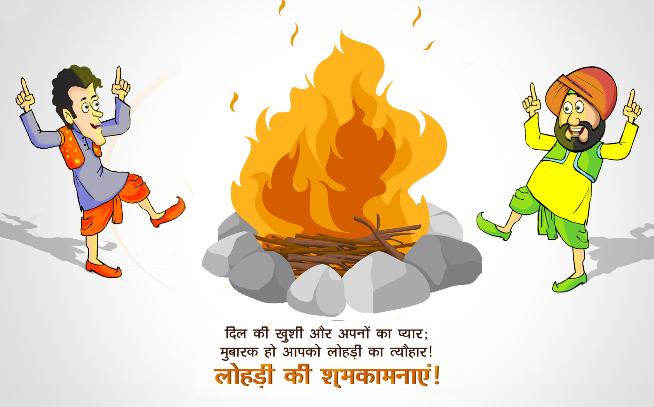 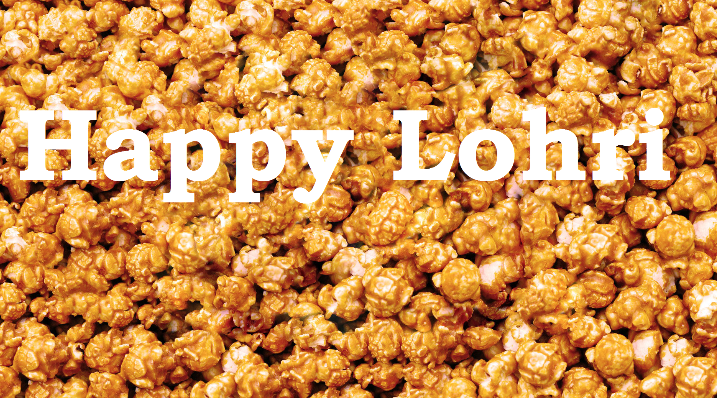 Like all Indian festivals, Lohri also has some legends and lore attached to it. 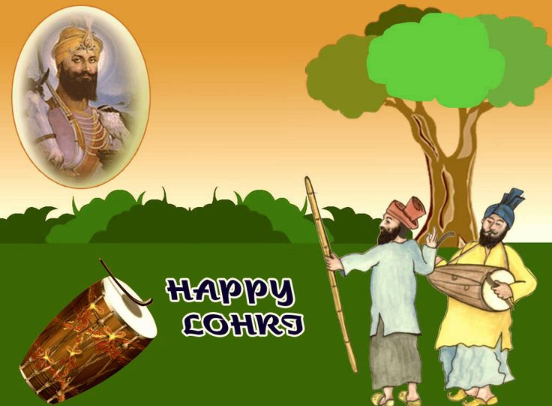 One of the many interesting legends has it that in a place that lies between Gujaranwala and Sialkot, there was a thick forest known as Rakh. 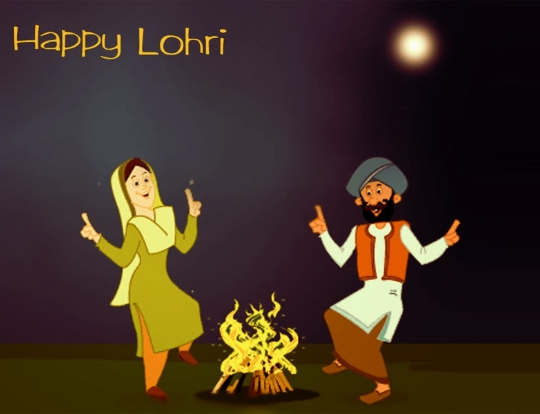 The forest was the home of Dulla Bhatti, a dacoit who was considered as the Robin Hood of Punjab. 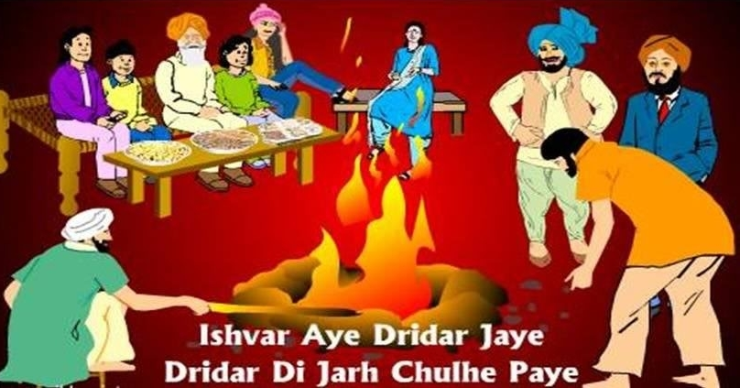 This brave and generous man was always helpful to the needy. 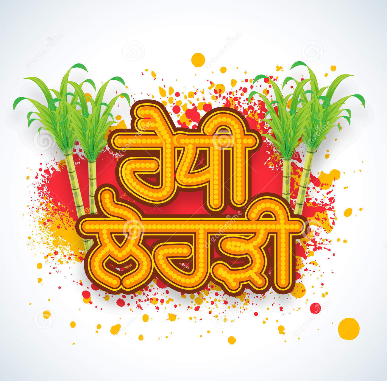 During the reign of Mughal Emperor Jahangir, a jealous Hindu spread a rumour that his niece was very beautiful and would do credit to the Muslim harem. 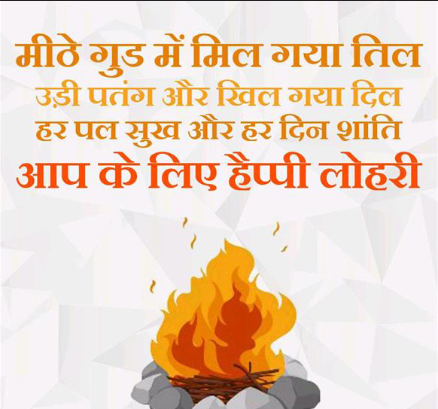 On hearing this, the Mughal officers wanted to carry her off forcibly. 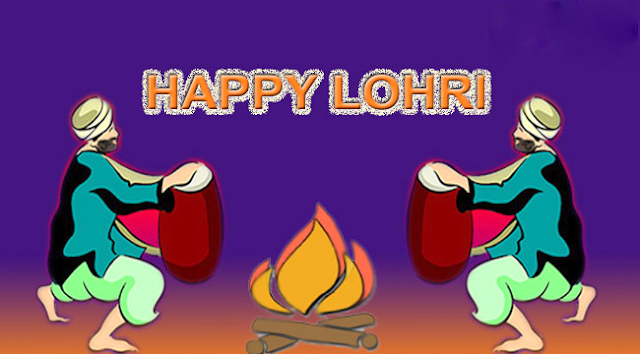 The girl’s father was extremely worried and sought the protection of Dulla Bhatti. 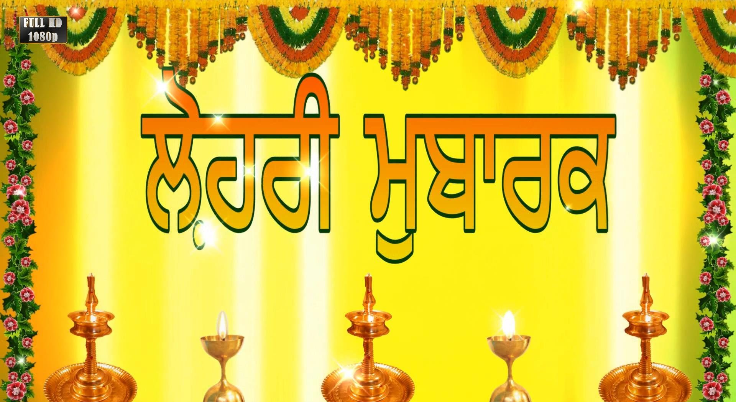 Dulla at once got her married to a young Hindu boy at a simple ceremony in the forest. 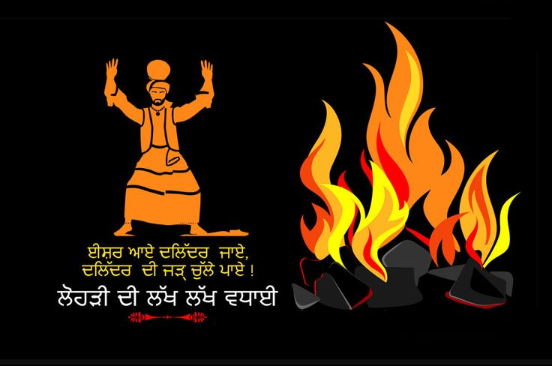 He lit the sacred fire in keeping with the Hindu custom. 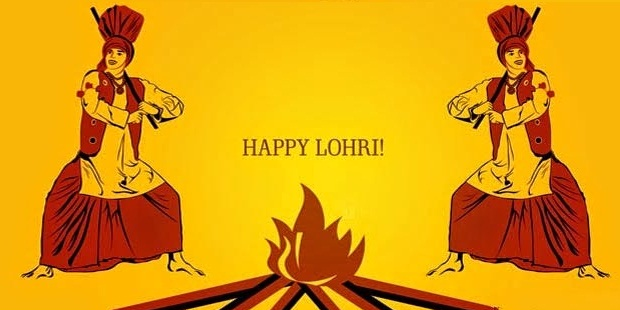 Since there was no priest to chant the holy mantras, he broke into a hilarious song composed extempore to add cheer to the occasion. 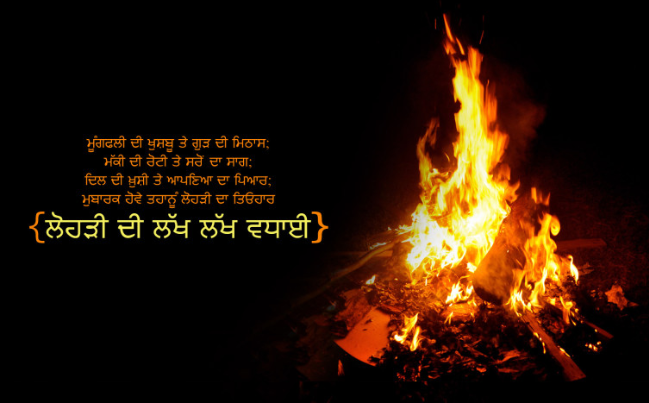 This song is sung even today on the occasion. 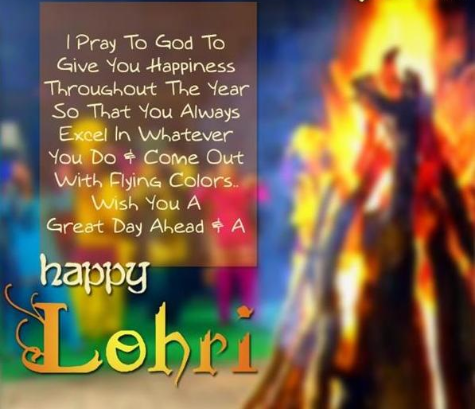 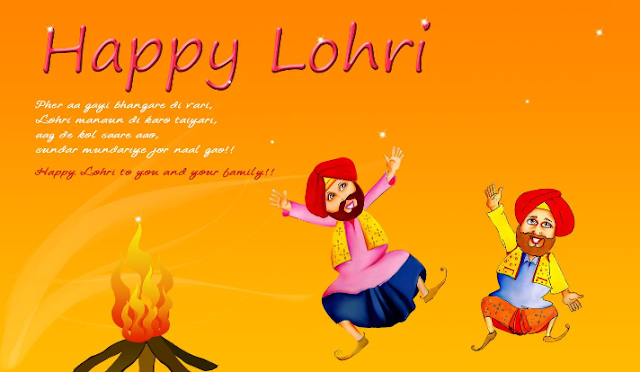 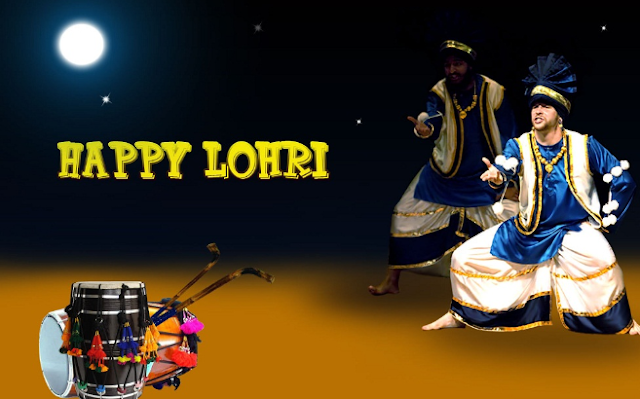 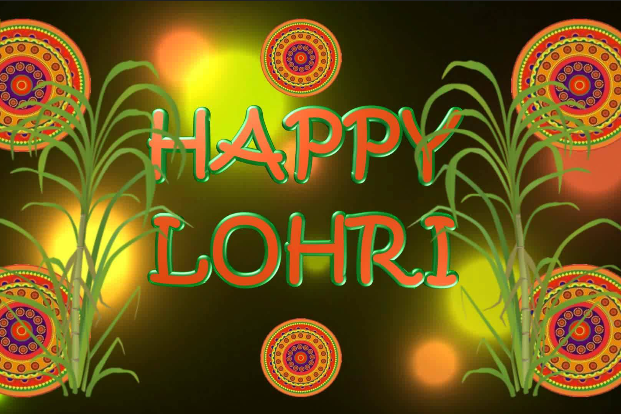 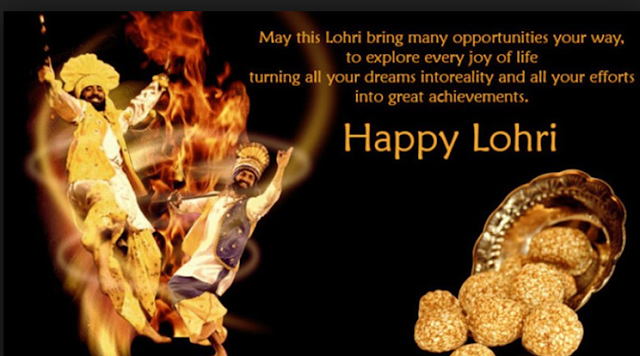 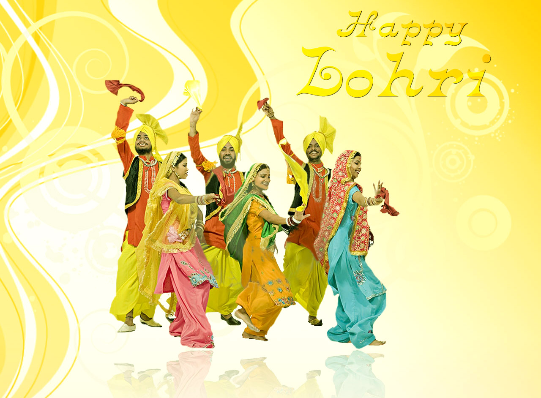 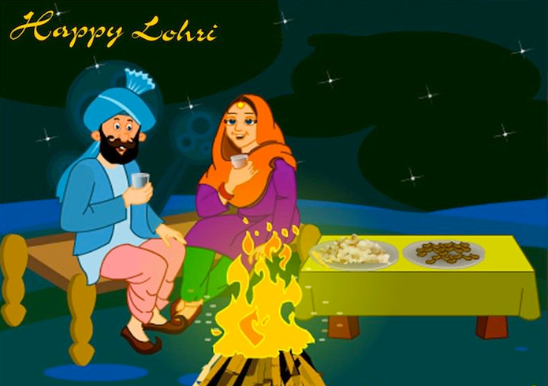 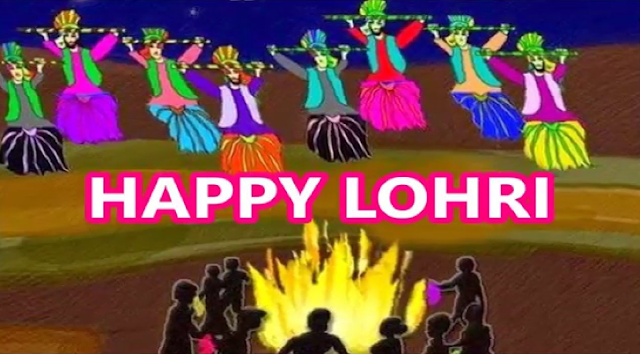 Lohri is primarily the harvest festival of the Punjabi's. 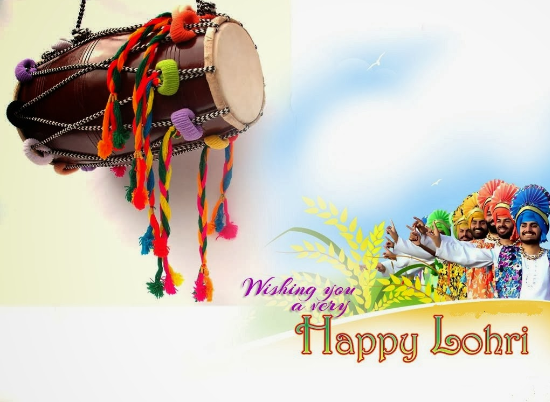 This festival denotes the harvesting of the Rabi crops and hence all the farmers get together in order to thank god for giving them such a wonderful harvest. 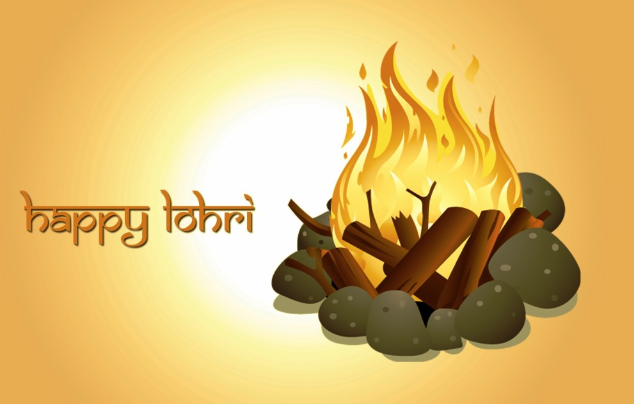 The rituals related to Lohri symbolize the attachment of the people with Mother Nature. 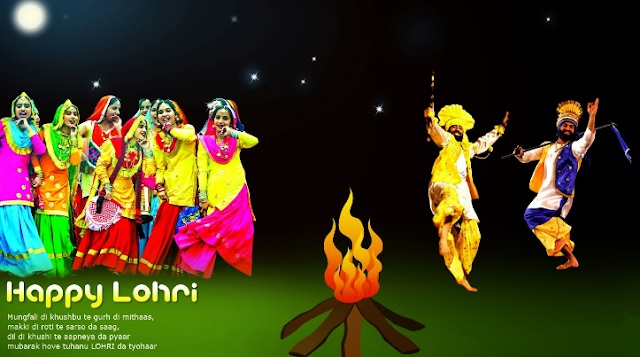 A few days before the festival, youngsters get together in groups and go round their localities singing folk songs. 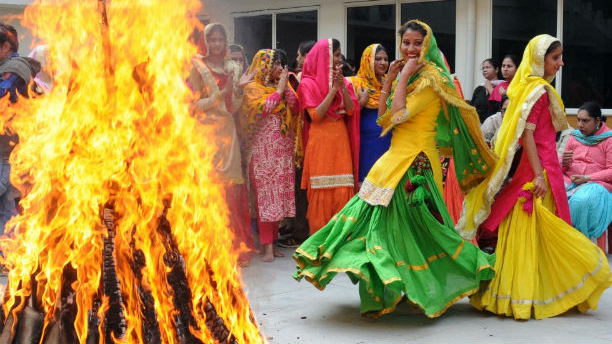 Doing this they also collect firewood and money for the bonfire that is scheduled on the night of Lohri. 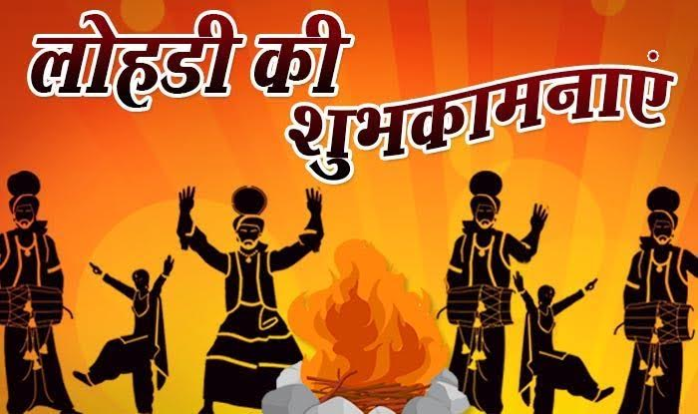 On the special day, offerings of phulley (popcorn), moongphali (peanuts) and rewri (a sweet delicacy made out of jaggery and sesame seed) are offered to the fire. The men and women go round the fire and bow before it in reverence. 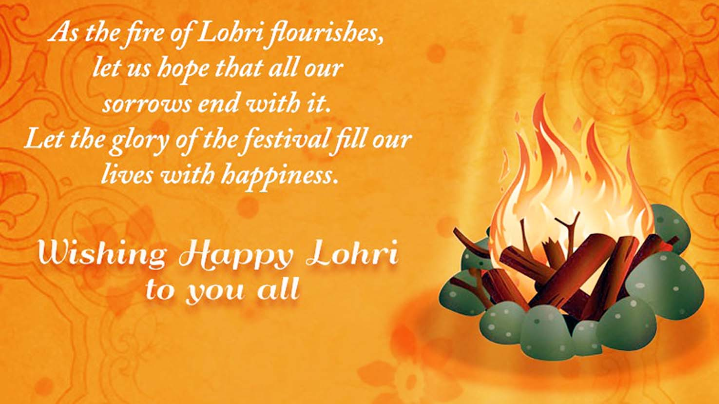 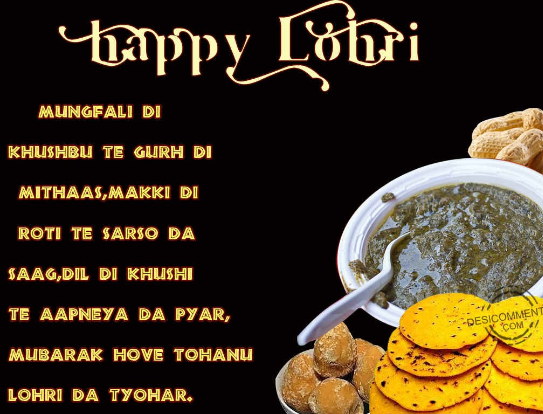 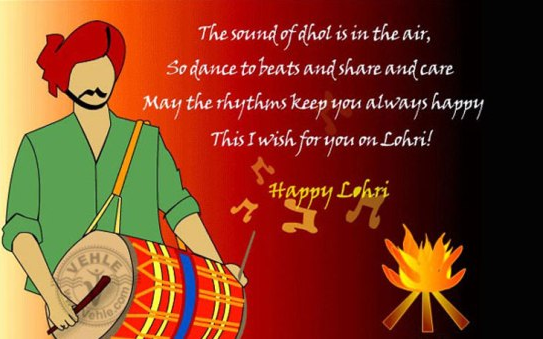 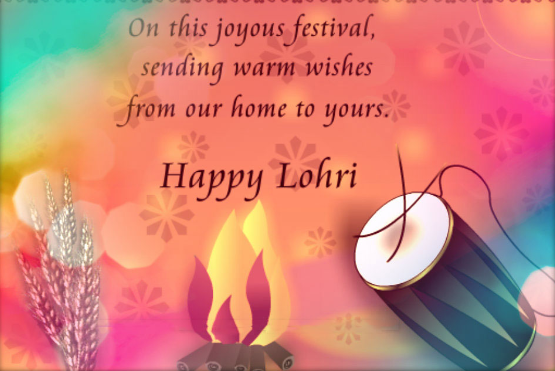 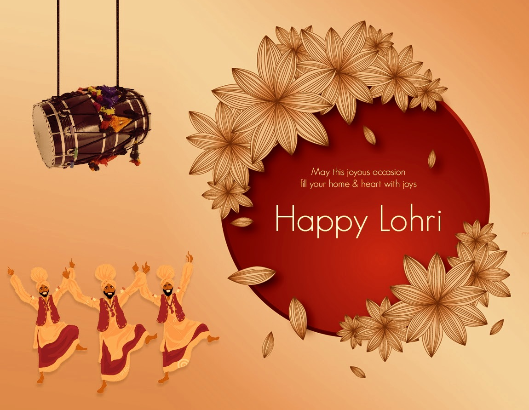 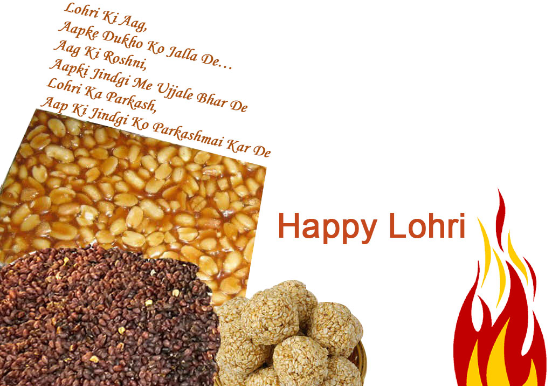 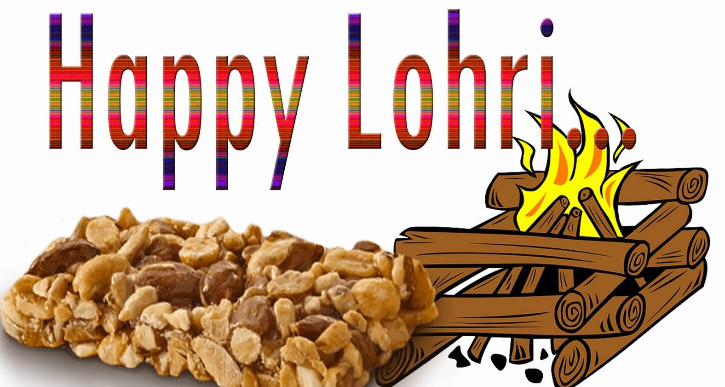 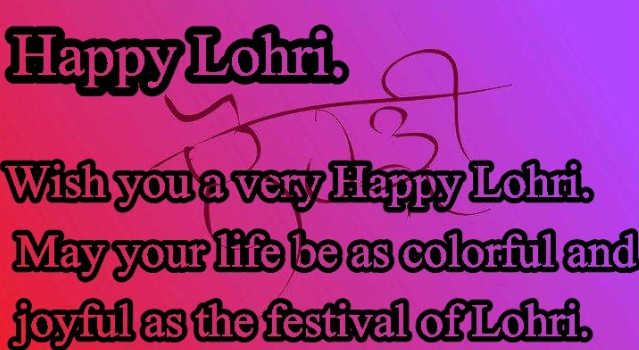 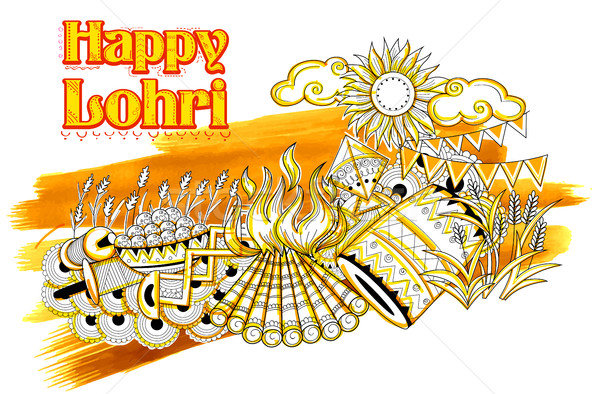 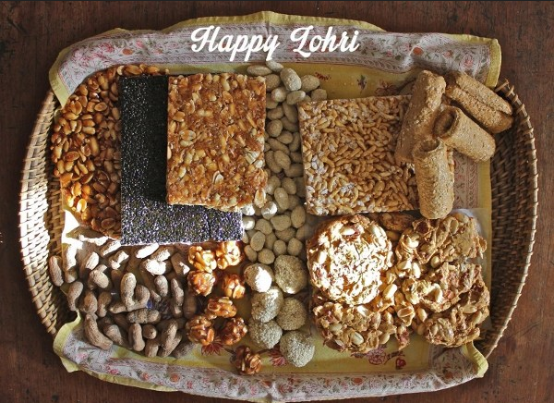 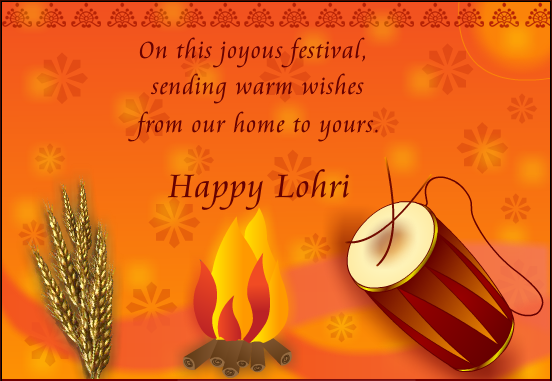 Lohri holds special importance when there is a special occasion in the family like marriage or childbirth.